In simple terms, the user interface is what a visitor sees on a website when he browses it. Some websites are very technical which means that a normal user with limited technical knowledge would not find it easy to use such websites. This is more of a negative aspect than a positive one. Most users browsing the internet opt for websites that are very simple to use. No one wants to spend hours on understanding how the website works and the flow that is implemented. Website owners who come up with a complicated interface find it hard to develop a good online standing. They do not get enough online traffic and the count for organic searches is less as well. Although website interface depends on multiple factors and to make it user-friendly is much important. However, the importance of SEO cannot be ignored therefore, Prepostseo tools can help you to make your site search engines friendly to rank higher on Google. The success and popularity of a website do depend on how good the user interface is. The key aspect is that users should be able to grasp the interface in a proper manner. If it has a complicated layout, users may get irritated and exit the website. Even people with technical expertise prefer websites with simple interfaces. Here are some key important points in this relation. Do not complicate the interface of the website by stuffing it with videos and images unnecessarily. If your website has a very large data size, most users would face problems in loading the website. Hence, pages should not be very heavy so that users can load the website in an easy simple manner. An organized layout makes an immense difference. Make sure that the user does not have to struggle for finding the links that he requires. Websites having a simple structure are self-explanatory and it is easy for users to interpret them. For instance, consider that you are browsing a website to view sunglasses with UV protection. If you feel that the data you are looking for is not available, it is obvious that you would not make any extra effort to search for information. Decide a feature list for your website in advance and this is what creates a serious difference to the user perception. Beefing up a website with important features is good but overstuffing it with unnecessary drop downs is not a smart move. The interface of the website should not cause confusion for the user. Instead, it should make things simpler. According to the services that you are planning to offer, make a list of features that are important and necessary. In this way, you would know what to include and the features that are not required. On a web page, certain constituents have to be differentiated so that they can stand out. For instance, if the background theme of your web page is blue, the written text should have a vibrant shade which is not similar to blue. In this way, the text should become more apparent and the attention of the user would be captured in an easier manner. 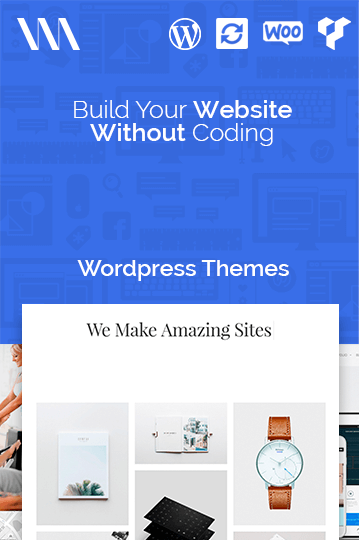 The online platform visualmodo can help you choose the best theme. The color theme of a website should be planned and the combination should not be selected in a random manner. Hyperlinks are an important part of any website and the color used for related text is important. It should be very different as compared to the remaining color theme of the website. Hyperlinks connect different sections of a web page and two individual pages so the color used for link text has to be selected carefully. It is not necessary to select red or any other sharp color but the selected shade should be different as compared to the other colors used. Particularly, the shade of the link text should not be similar to the background theme. Using very sharp colors does not generate a positive impression. Most website owners have the perception that using sharp colors helps in getting user attention quickly. This is not a fact in any manner. Most users get irritated when sharp text is used. Consider that you have visited a website that has sharp green as the base color. Even if the content is very interesting and tailor-made according to your needs, you would exit the page as the sharp background shade would cause irritation for you. The color blend can drive immense traffic towards your website. Similarly, if you have used the wrong color combination, things can go completely haywire. It is obvious that websites with sound technological infrastructure works well and creates an advantage for website owners. However, there is no point in having a website that is hard for users to load. Thus, have a technological framework that is convenient for more users. Do not overburden your website with additional features which would actually not improve the business productivity. Most website owners fail to implement this aspect. For instance, if you have overburdened your website with loads of images, videos, and heavy infographics, all your users would not be able to access the website in a smooth manner. It would obviously then come to how advanced the computer or smartphone each user has. Thus, to make a website easy to access for most users, do not increase the data size in an unnecessary manner. Ensure that there are no technological restrictions on your website. For instance, if your website runs on a particular browser only, it can surely be a problem for your visitors. Make sure that in technical terms, a website is accessible by the maximum visitor count. The more exposure you get, the more the traffic on your website will increase. This is obviously important to get conversions and earn money. Hence, before your website goes live, check the technical infrastructure that it has. If there are any issues, make sure that they are dealt with properly so that the user count does not get affected. The interface of a website decides whether you would get a good number of organic searches of people would not consider your website a lot. A professional team of technical personnel is needed to have the finest optimized website. In an overall manner, the user interface is an important component and the importance level is expected to increase further. Thus, to get conversions and a high customer count, make sure that the user experience is as per customer expectations.